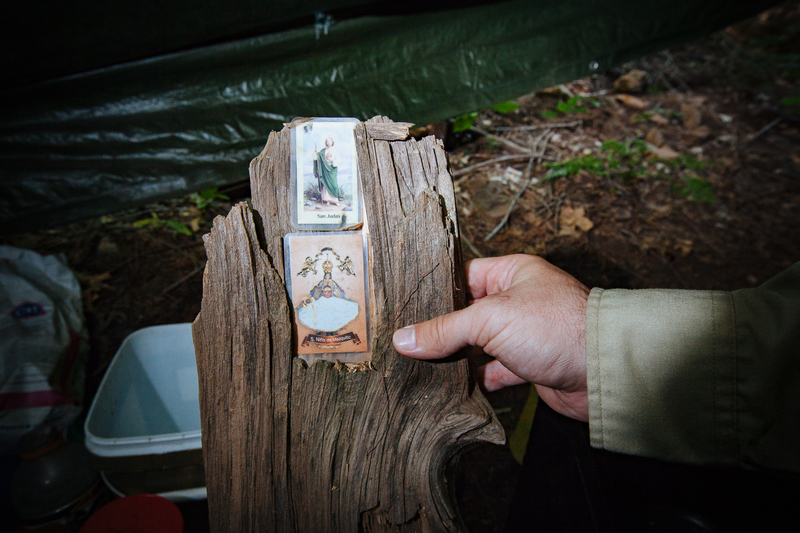 Officers often find evidence of religious shrines at grow camps, in this case, prayer cards for Saint Judas and a card symbolizing the Chapel of the Holy Child of Mezquitic Magdalena. Saint Jude is known as the patron saint of hope, or lost causes, and often prayed to in times of desperation or depression. The Chapel of the Holy Child of Mezquitic is a popular place of pilgrimage in the state of Jalisco, Mexico.